Sleeps 4, with two bedrooms and a main bathroom, with a separate downstairs cloakroom, TV, DvD player & WiFi, living and dining areas, kitchen and sun terraces/balconies. Free wireless broadband internet now available throughout the villa. There is free air-conditioning in both bedrooms and the main lounge area downstairs. The villa is a short walk from restaurants, shops and the glorious white sands of the Fitts Village Esplanade and beach. For larger groups, or more than one family, we have access to other villas on the complex, please email me for availability and prices. The villa is also available for long term rentals, please email for more details. As well as a cot we also provide a high chair. Please email me if you require any shopping getting for your arrival. 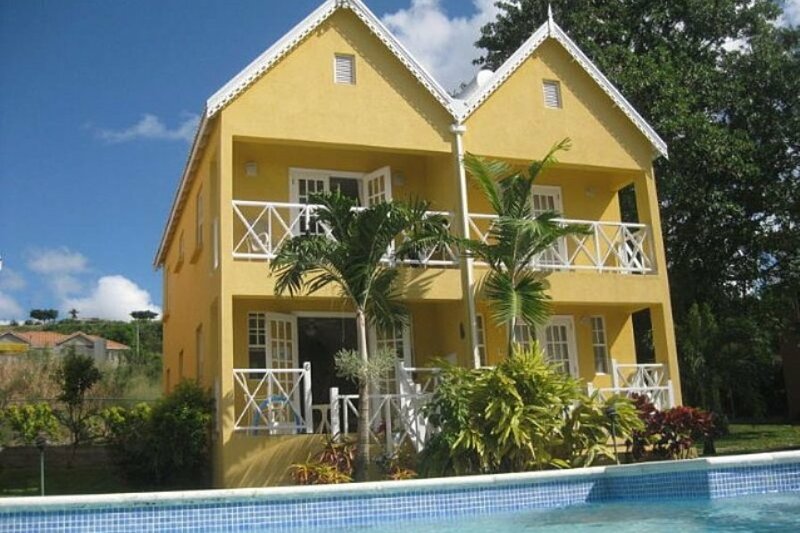 LOCATION - Fitts Village is situated on the platinum west coast of Barbados, less than a half-hours drive from the airport, and only five miles north of the capital Bridgetown. The nearby SANDY LANE HOTEL is world renowned for its luxury and cuisine. Slightly further along the coast is HOLETOWN, which combines the native Bajan chattel houses with grandiose holiday homes, amidst a vibrant series of beach bars and restaurants. Disounts are now available on selected dates, just ask. For larger groups, or more than one family, we have access to other villas on the complex, please email me for availability and prices.The villa is also available for long term rentals, please email for more details. As well as a cot we also provide a high chair. Please email me if you require any shopping getting for your arrival.